In 1981, Heiichiro Ohyama began conducting the Youth String Orchestra of the Crossroads School for Sciences and Arts. In 1983 he was appointed the position of Music Director and Conductor of the Santa Barbara Chamber Orchestra. 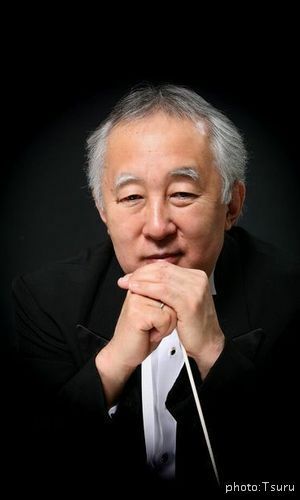 In 1987, Mr. Ohyama was appointed Assistant Conductor of the Los Angeles Philharmonic by Andre Previn. He held this position for nearly four years and conducted the Philharmonic, including subscription concerts, at the Los Angeles Music Center, the Hollywood Bowl and the Los Angeles Philharmonic Institute. His experience also includes being the Principal Conductor of the Round Top Music Festival in Texas for 12 years beginning in 1982, the Music Director and Conductor of the Northwest Chamber Orchestra in Seattle from 1985-87, Music Director and Conductor of the Cayuga Chamber Orchestra in New York from 1993-98, Artistic Director of the Santa Fe Chamber Music Festival from 1991-97, Artistic Director of the La Jolla Chamber Music Society's SummerFest La Jolla from 1986-97, Music Director and Conductor of the Asia America Symphony Orchestra in Los Angeles from 1990-2000, the Principal Chief Conductor of Kyushu Symphony Orchestra in Fukuoka, Japan from 1999-2004 and the Osaka Symphoniker from 2004-2008, Music Director of Nagasaki Music Festival (Japan) from 2007 to 2009. In 2005, he received the ‘Fukuoka City Cultural Prize’ and in 2008, ‘Outstanding Performance Award’ by the Japanese Government. He has been heard frequently on radio and television and has recorded on the CBS, Evica(Japan), Nonesuch, Philips, RCA, and Stereophiles labels. Now he holds the position of the Music Director and Conductor of the Santa Barbara Chamber Orchestra(USA), Artistic Director of CHANEL Pygmalion Days Special Concert Series. Opera de Lyon, Royal Philharmonic Orchestra, Baltimore Symphony, Brandenburg Symphony Orchestra, Hale Symphony, Los Angeles Chamber Orchestra, Los Angeles Chamber Orchestra, Milwaukee Chamber Orchestra, New Mexico Symphony, Ohio Chamber Orchestra, Royal Academy Sinfonietta, New York Chamber Symphony, San Francisco Symphony, San Diego Symphony, Kyoto Symphony, Yomiuri Nippon Symphony, New Nippon Symphony, Tokyo Metropolitan Orchestra, Sapporo Symphony etc. Site created & maintained by SEA OTTER CLASSIC.